AFTER more than 30 years at the helm of one of Warwick's oldest businesses, Judy and Jack Apps are finally handing over the reins. At 90 years of age, Jack was one of the oldest workers in town and started at Cleaning and Catering Products Warwick walking around "cap in hand” as a salesman. Judy was working at the business at the time in 1979, but three years later they leased the place before diving in and buying it in 1985. 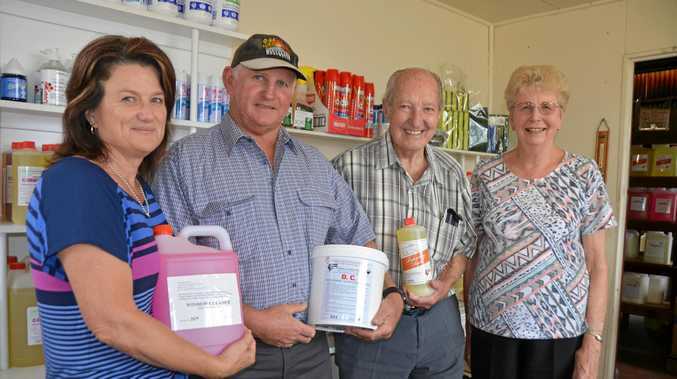 It's the only detergent manufacturing business in the Darling Downs and their list of loyal customers is a roll call of iconic Warwick businesses, including the Condamine Sports Club and Warwick RSL Memorial Club. Mr Apps said he'd been a worker all his life and retirement had been previously suggested, but he wouldn't have a bar of it. "I'd seen people retire at 65 and then they weren't here any more,” he said. The pair added a personal touch to the business and agreed they would miss the people the most. "In the country, you know your customers and we personally know our customers,” Ms Apps said. New owners Kelly and Eddie Thompson will continue to use the same chemical formulas and run the business as people have come to love it. "It's for our family. 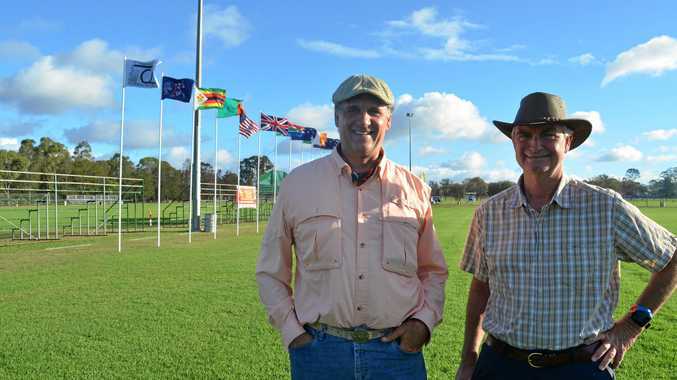 We've got young ones who can hopefully take it on and keep it going for generations,” Mrs Thompson said. A few changes will be made, including installing an Eftpos machine and a showroom will be added to the space in the new year. Ms Apps will stay on at the business to assist with the transition and then plans to travel, but locals are likely to still see Jack around town. "Most people I've spoken to have said 'good on ya mate, about time',” Mr Apps said. Ms Apps said it would be good to see the local business continue. "We take the opportunity to thank our loyal customers and wish Eddie and Kelly all the best with their new venture,” Ms Apps said.